"It's not your money - it belongs to the people." Taking this simple axiom seriously creates unique challenges for the management of public funds. Andrew Graham outlines all aspects of public sector financial management, addressing how funds are obtained, what rules of accountability and accounting are applied, who controls public funds, what constitutes effective budget management at the operational level, and how accountability and oversight are dealt with. The skills demanded of public sector managers in financial management are becoming increasingly onerous and complex. 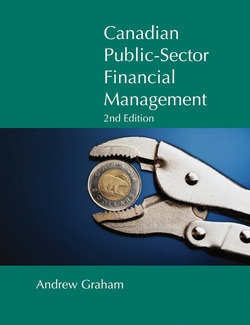 Canadian Public Sector Financial Management will be of great help to practitioners in the public sector who wish to better understand their financial responsibilities as well as to students of public administration and the general reader concerned with public financial management issues.